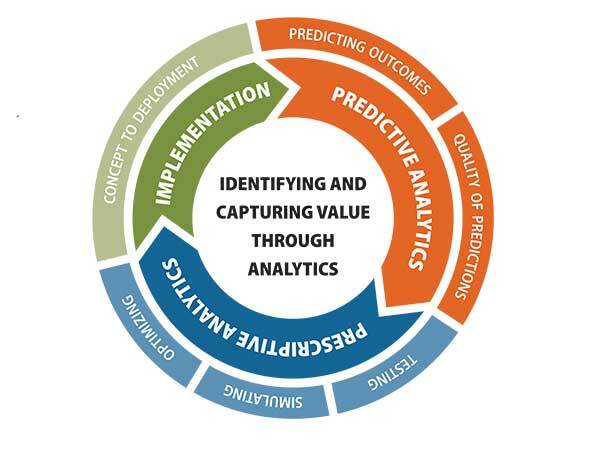 "Business analytics is an integral part of modern management. This program will provide you with best practices and tools to identify value capture as well as understand and apply state-of-the art methods to drive value." "Businesses often shy away from real analytics, thinking they understand fact decision making. This course takes it to a much higher level than common practice." "An excellent course. Applicable to any business executive." "Great professors that understand the challenges and biases of analytics and help to account for them to find an optimal solution." "Business Analytics sounds like a dry topic, but it's just the opposite. It opens the world of mathematics and the expanding access to data to the needs of every business leader in every industry. This course covers the theory, the tools, and — most importantly — their application to your organization, whether you are a data manager or an executive." "Professor Besbes and Mister Guetta did an exceptional job in conveying complex analytical theory into real-world examples that resonated." 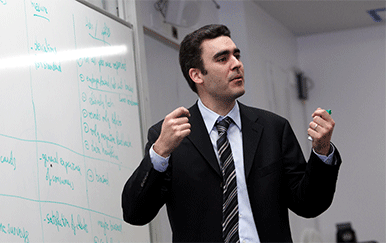 Omar Besbes is an associate professor in the Decision, Risk & Operations division at Columbia Business School. His primary research interests are in the area of data-driven decision making with a focus on applications in e-commerce, pricing, and revenue management, online advertising, operations management, and service systems. His research has been recognized by the 2012 INFORMS Revenue Management and Pricing Section prize as well as the 2013 M&SOM best paper award. He serves on the editorial boards of the flagship journals of the discipline, Management Science and Operations Research. He has taught core MBA courses in Operations Management and Business Analytics, an MBA elective on advanced business analytics, as well as various PhD seminars on stochastic models, revenue management, and data-driven decision making. He is a recipient of the Dean's award for teaching excellence in the core at Columbia Business School. Besbes is a graduate of Ecole Polytechnique in France and received a MSc from Stanford University in 2000 and a PhD from Columbia University in 2008. Before joining Columbia, he was on the faculty at the Wharton School, University of Pennsylvania. Daniel Guetta is the director of the Business Analytics Initiative, jointly led by the Columbia Business School and Fu Foundation School of Engineering and Applied Science. He is also a lecturer in the Discipline of Decisions, Risk, and Operations at Columbia Business School. He teaches classes in business analytics, including data science, pricing, and supply chain management. Prior to joining Columbia, he was a deployed computational engineer and engagement manager at Palantir Technologies, where he worked with clients in from a wide array of industries ranging from finance to pharmaceuticals, helping them solve their business challenges by leveraging data. He completed his undergraduate studies in Physics and Mathematics at the University of Cambridge and MIT, and holds a PhD in Operations Research from the Columbia Business School. Along with Professor Besbes and Daniel Guetta, additional Columbia Business School faculty contribute to and teach in the program.